Thank you St. Albert for your Patronage. 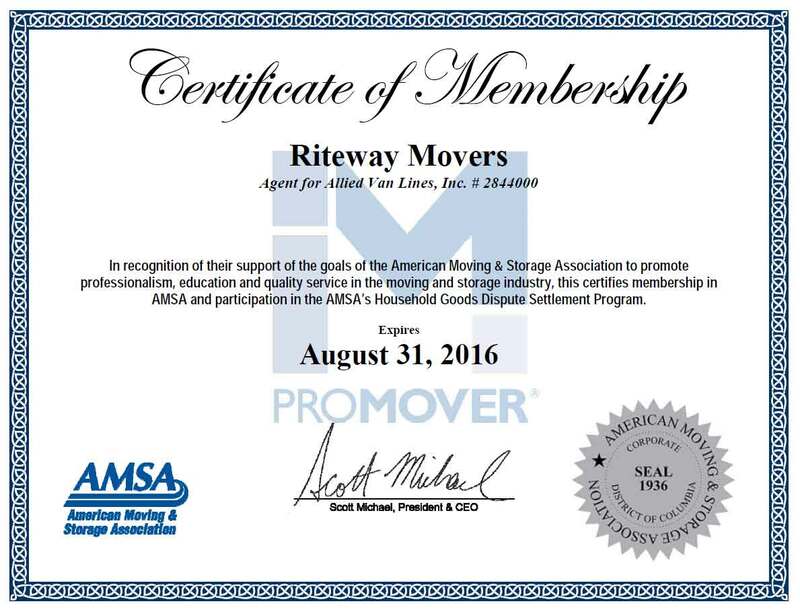 We at Riteway Movers St. Albert believe in providing Quality Moving Service at Affordable Rates. 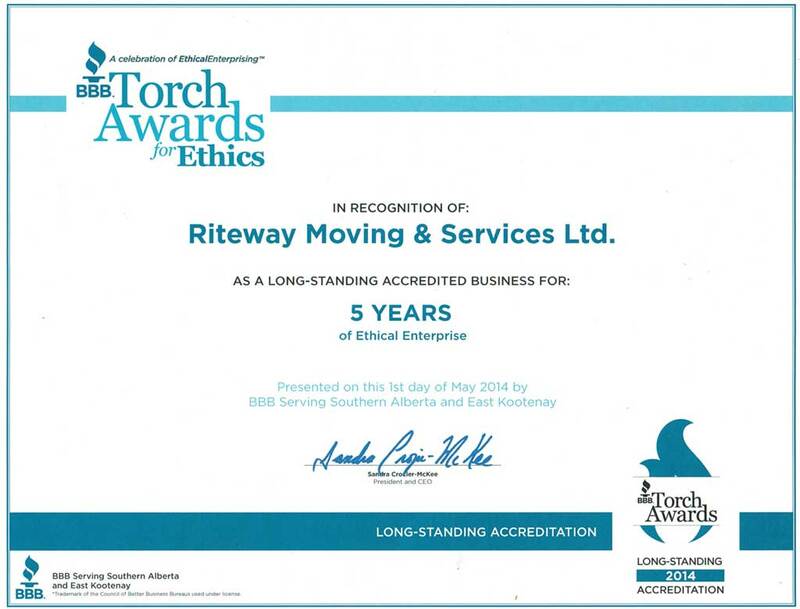 What sets us apart from other St. Albert moving companies? On moving day, our objective is to execute your move stress free. Here are a few tips to help you prepare better. 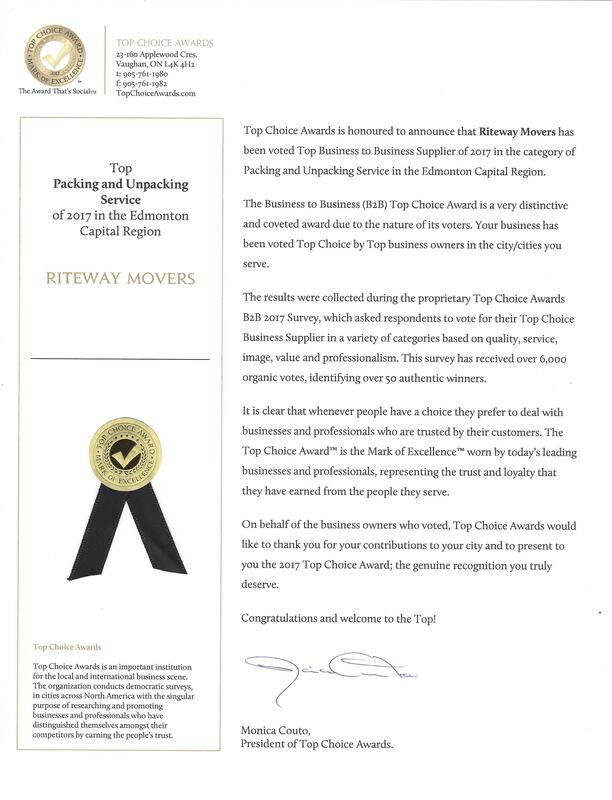 Ensure there is adequate parking for the moving van. Arrange elevator times for both your origin and your destination. Remove glass shelves from cabinets. Secure lids tightly on all liquids. Defrost and clean fridges and freezers prior to moving day. Tape open foodstuff boxes and bag them in plastic grocery bags for extra security. Bundle brooms, mops, skis and garden tools together for easy handling. Secure loose cords with garbage bag ties and take them with you. Take jewellery, valuable or fragile items, unwrapped floor lamps, currency, documents, collections, pets and any open cartons in your own vehicle. Mark all boxes and especially the “need-right-away-items” for when you arrive. Plan to eat out, or order your meal in – for the first night. 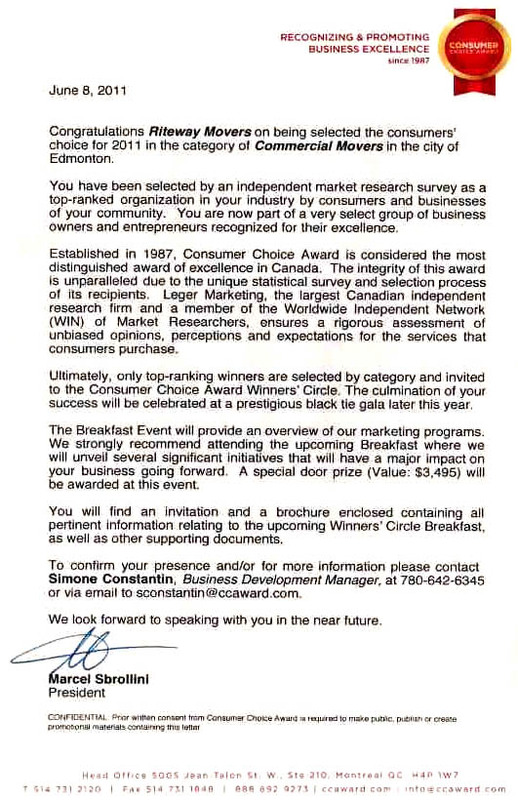 Hope to hear from you soon your Friendly Movers in St. Albert. 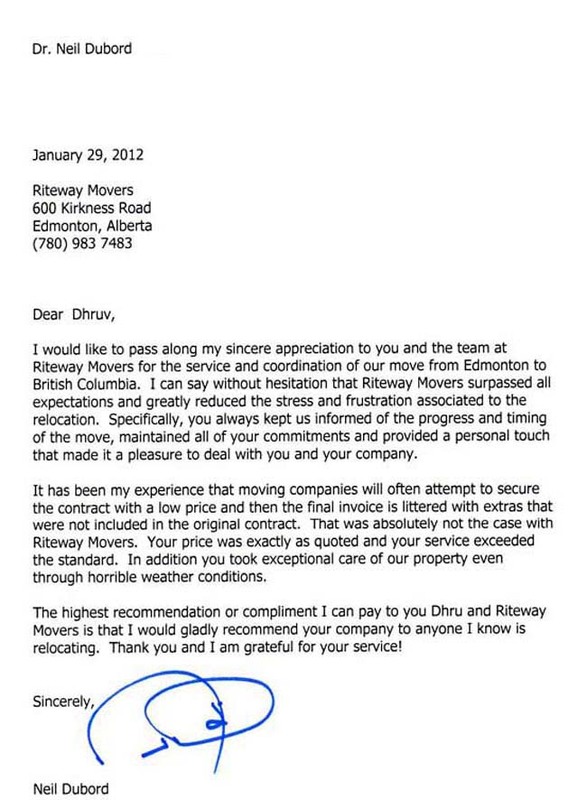 Riteway Moving & Services Ltd.
" Thank you for your prompt and professional care with this matter. I will recommend you to anyone I know who is ever moving in the near or distant future!! You men have been a pleasure to deal with:) "